Confession: I'm a sucker for pancakes. Particularly, the delicious, old-fashioned, rich kind. Being gluten-free makes most pancake options banana-filled, corn tasting, or super dry. 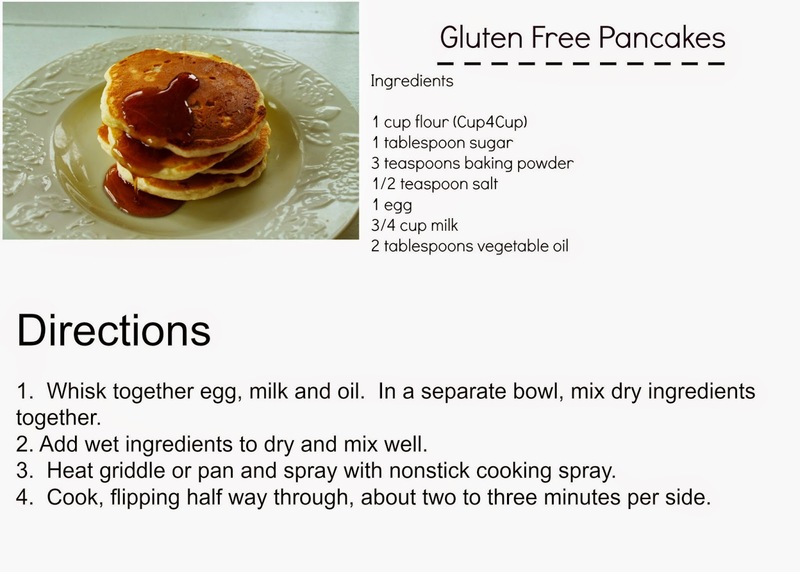 When I found this recipe, I knew we could make them deliciously gluten free with my beloved Cup4Cup flour. This makes 5-6 pancakes, depending on the size you like. I have been making big batches of these for the kids to eat for breakfast throughout the week, and they have been loving them! This is an easy, delicious recipe! Ohhh yes! I love pancakes and I'm trying to cut out gluten when I can. Definitely going to have to give these a try. These look yummy! My kids are pancake obsessed so I'll have to try these! Mmm! I have a few friends that would love this GF option! I didn't have time for breakfast this morning and that seriously made my stomach growl. Looks so yummy I love pancakes! I love pancakes too. I ate so many when I was pregnant with both boys. This recipes sounds like one I need to try. mmmm yum. i'm lazy and use GF bisquik (i know, i know) when i want pancakes. i have heard lots of good stuff about cup4cup but never tried it! There's definitely an art to using gluten free flour. Those look delicious!! My favorite addition is always blueberries!